This is a round Ironbeer porcelain sign. This particular Ironbeer sign is very colorful. 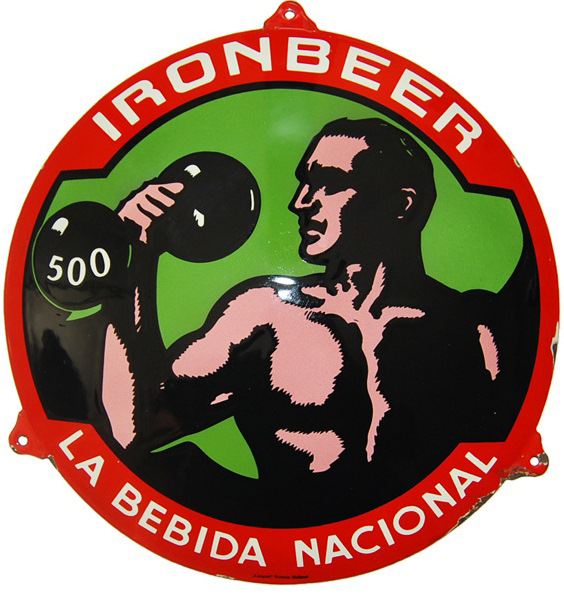 It reads, “Ironbeer, La Bebida Nacional” and features a man lifting a 500 pound dumbbell against a green background with a red border.